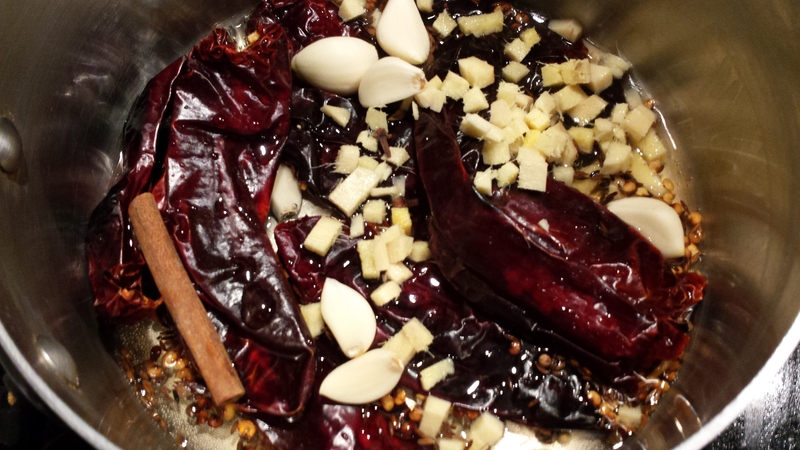 In a small saucepan, heat the chiles, cumin seeds and peppercorns over medium heat for about 2 minutes, stirring the chilies occasionally. 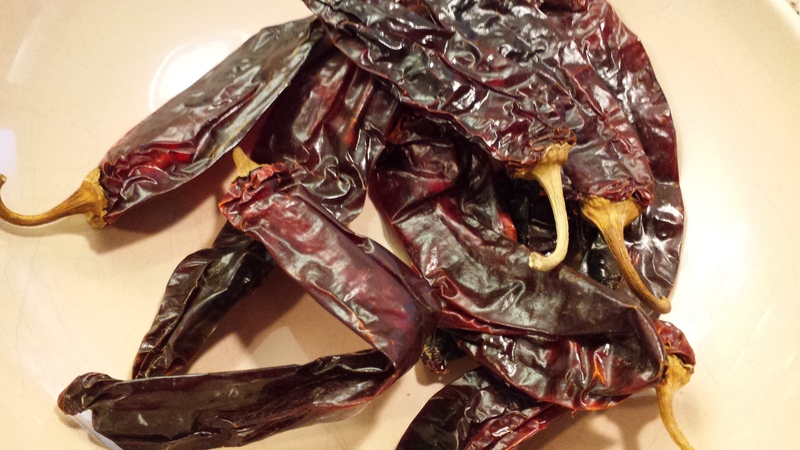 They will get a little darker which is a good thing but be sure not to burn the chilis or the cumin seeds. If you re using ground cumin just toast the chilis and peppercorns. Add a 1/4 cup of water and the vinegar, ginger, garlic, cinnamon stick, cloves and 1 teaspoon of salt and bring just to a boil. The vinegar is going to make quite a potent smell when heated so stand back so you don’t get a steaming face full of vinegar! Once its boiling turn off the heat and let it sit for about 30 minutes until everything has softened. You can toss the cinnamon stick at this point or leave it in, in a happy accident I left mine in and it pureed up no problem and the taste was great. Transfer everything to a blender or food processor and add the ground cumin if not using the seeds. 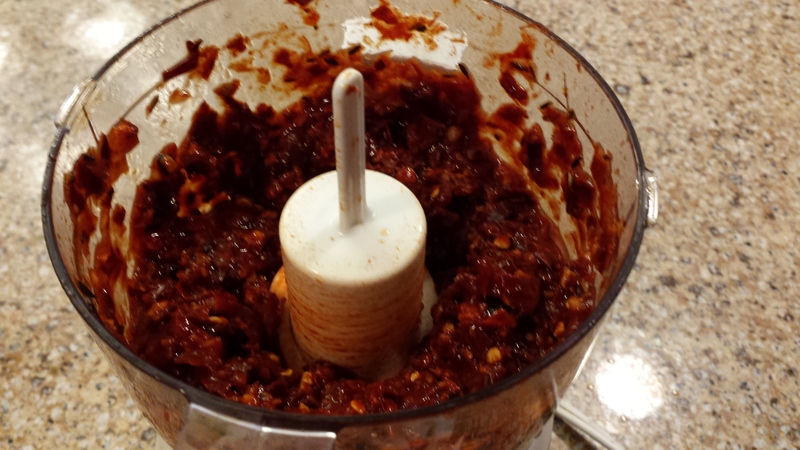 Puree into a paste. At this point you can store the paste for several days in the fridge or six months in the freezer. Spread the paste all over the steak on both sides and let marinate on a plate or baking dish for at least an hour and up to 6 hours. 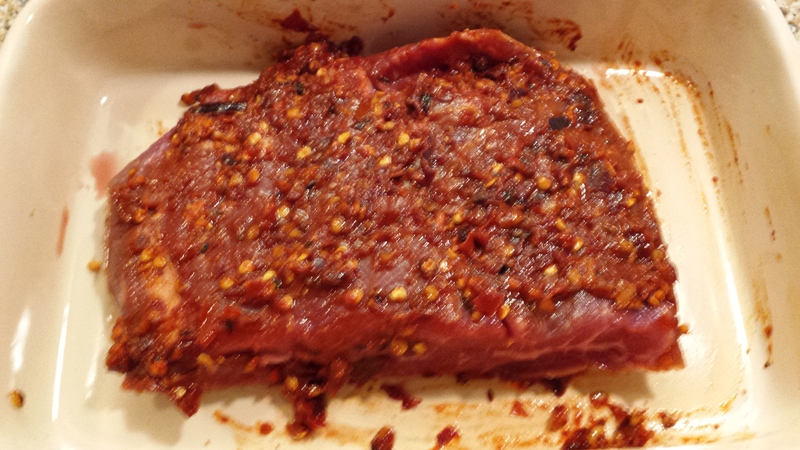 If you only have an hour let it marinate at room temp so the steak isnt cold going into the grill. Light your grill and heat it to medium high. Grill for 10-12 minutes depending on the thickness of your steak and how you like your steak done. Let rest for 5-8 minutes, then slice thinly. While the steak rests, brush the naan with olive oil and grill for 1-2 minutes per side to get a little char and warm them through. Also make the yogurt sauce by combining the yogurt, garlic, mint and parsley in a small bowl, then season with salt and pepper. 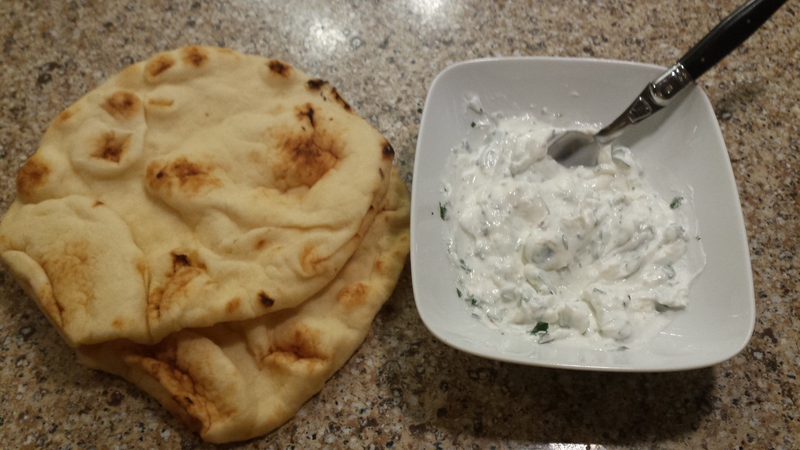 To serve slather the naan with the yogurt sauce and pile in slices of steak. Red onion and or arugula would also be nice in there. Totally unrelated to this delicious post but.. have you ever cooked on a salt block? Seems to be all the BBQing craze these days! We actually got a salt slab from Hill’s Kitchen from our wedding registry but haven’t used it yet. Maybe next time you are here! This was SO GOOD. Definitely one of my favs that you’ve posted.